To ensure our less mobile members and visitors enjoy their round of golf at Woodhall Spa as much as possible, we are happy to allow the use of small, one-seater buggies. Players can either use their own buggy while those with medical conditions, walking difficulties or other disabilities are welcome to hire one of the three we have available. Please book in advance, see contact details below. We would ask all buggy owners to have in place an appropriate insurance policy, and to show an insurance certificate and sign a form at the golf reception before teeing off; those hiring buggies will also need to sign a form. 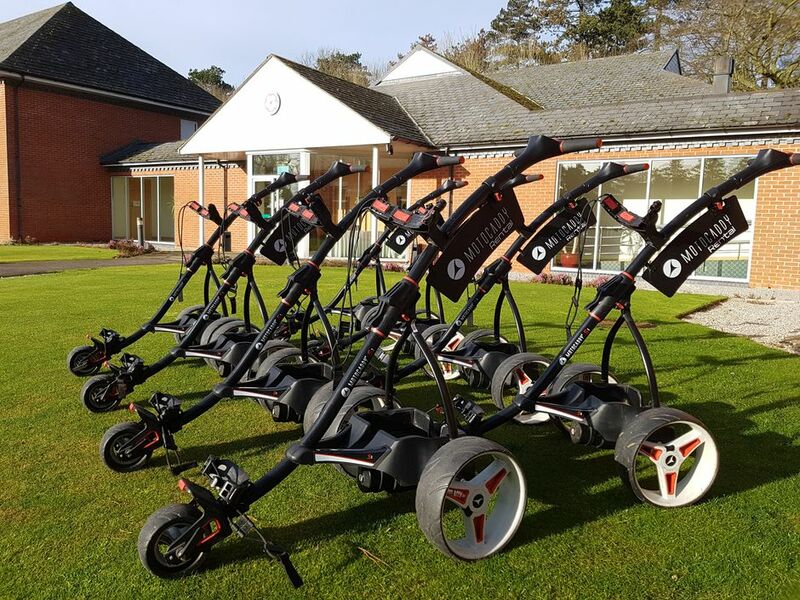 We have a limited number of electric trolleys (Motocaddy's) that can be reserved in advance of your visit at a cost of £12 per round or £16 per day. In addition we have pull trolleys to hire at a cost of £5 which are hired on a first come first served basis.